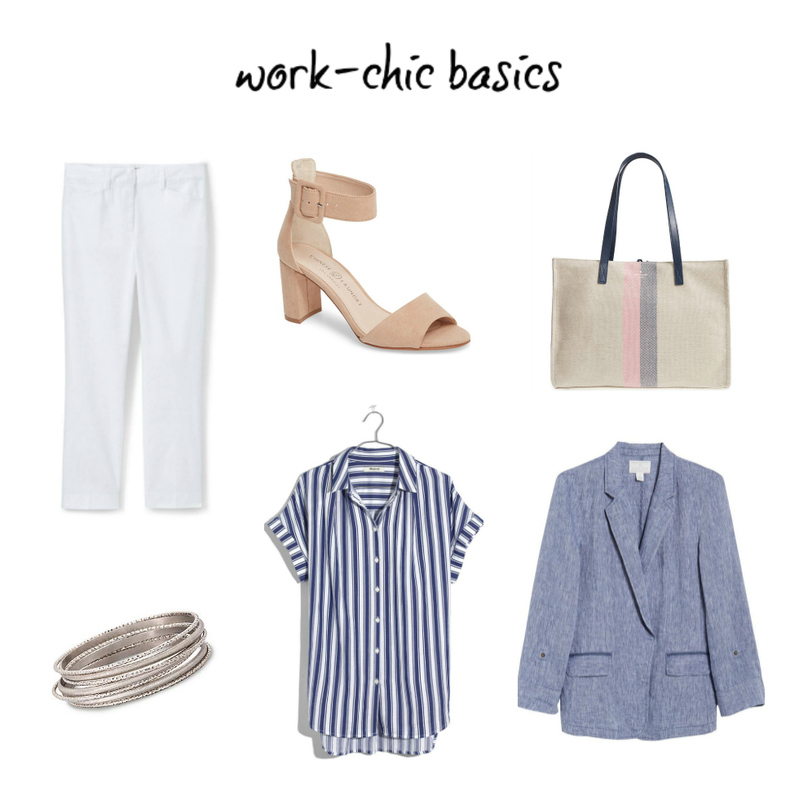 The simple, minimal styling of this outfit is perfect for the office. The key piece is the cropped dress pants, like these 1, 2, 3, that you can effortlessly pair with just about any top. A chic button blouse is a smart choice without question. Try these business-ready trousers if you prefer regular length. Finding fashion inspiration from a painting… why not? 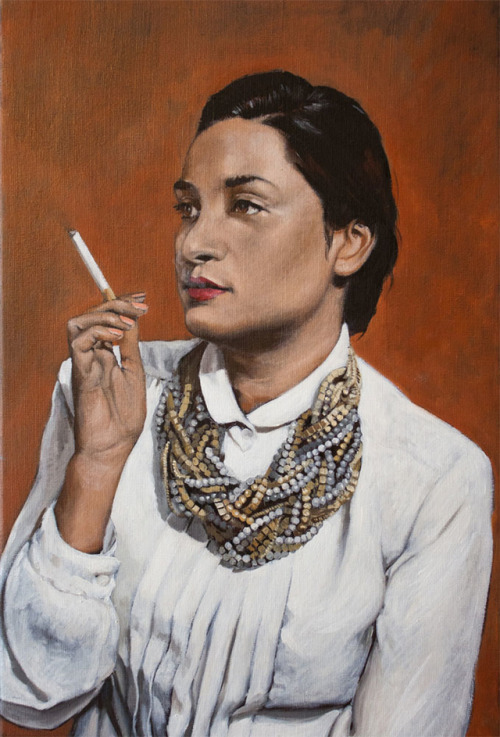 What a lovely portrait of a smoking lady who is also happens to be stylish, wearing a pleated blouse accented with a beaded statement necklace. Her red lips add a chic pop of color to her neutral look.